As soon as I came across these old photos of me and my Mom, I knew they'd be perfect to showcase the beautiful Christmas Reflections Collection by Echo Park. 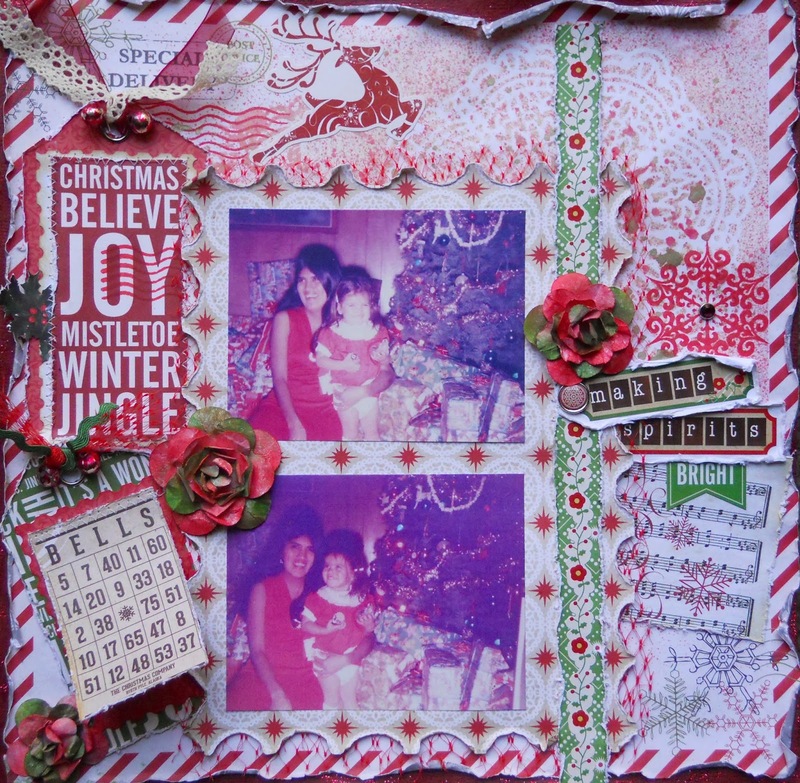 I also added a little from Tis the Season, but just on the paper with the candy cane border, so I could add my doily stencil and play with my new mists. I was inspired by this Basic Grey sketch. I made a couple of large tags, adding my own ribbons and beads to them. The beads came from some old garland that I saved from the trash, and reminded me of bells. 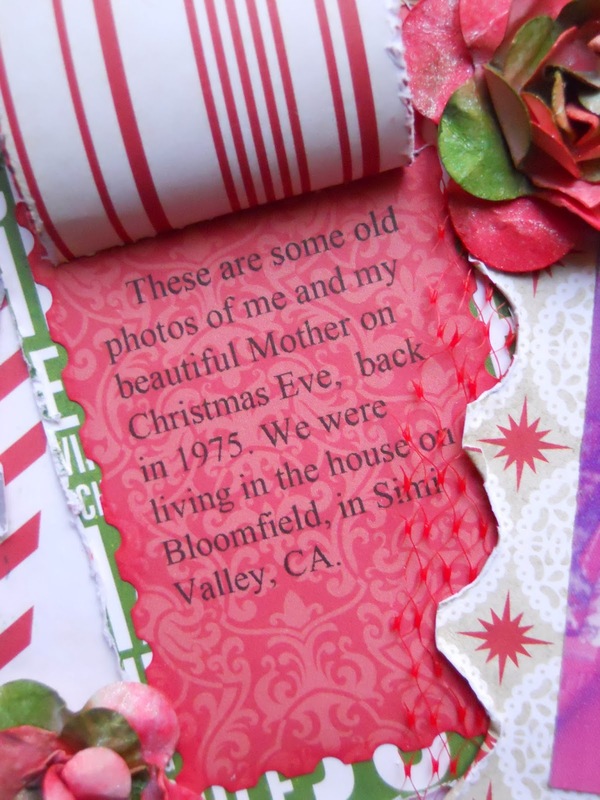 I also saved the red netting from the trash, which held fruit at one time, to go under the paper with the photos, as well as through the tag. I love to recycle! 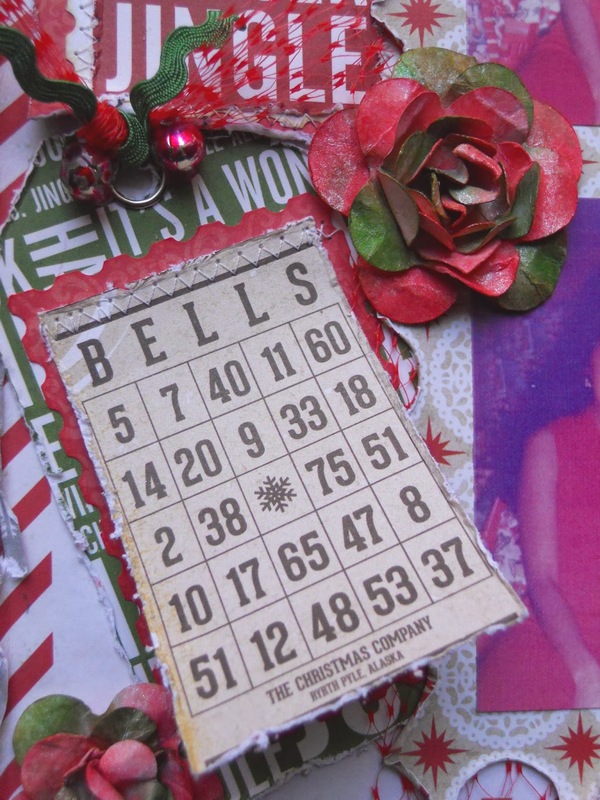 Lift the Bells Bingo card, which I stitched on top, to reveal my hidden journaling. 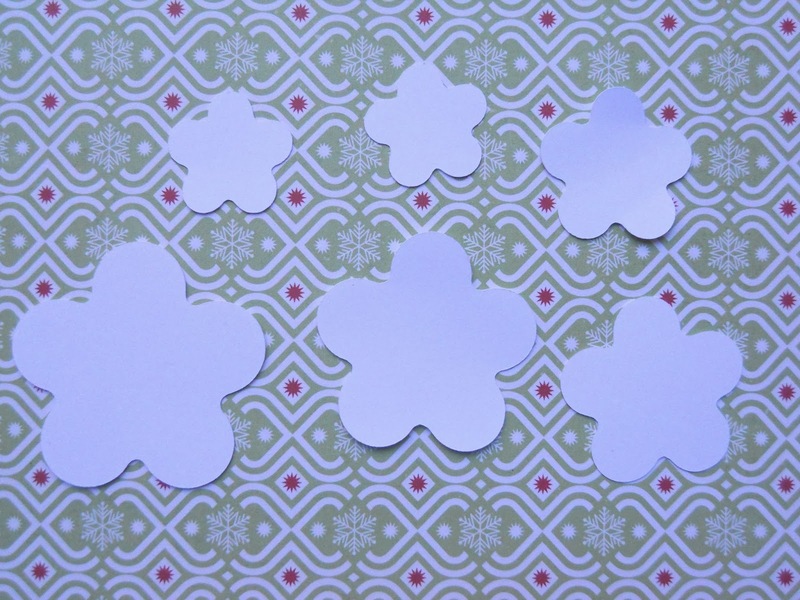 1.Using the Serenade Cartridge for the Cricut, cut out 6 flowers from your white cardstock using flower #5. Cut 2 @ 1", 1 @ 1 1/4", 1 @ 1 1/2", 1 @ 1 3/4", and 1 @ 2". 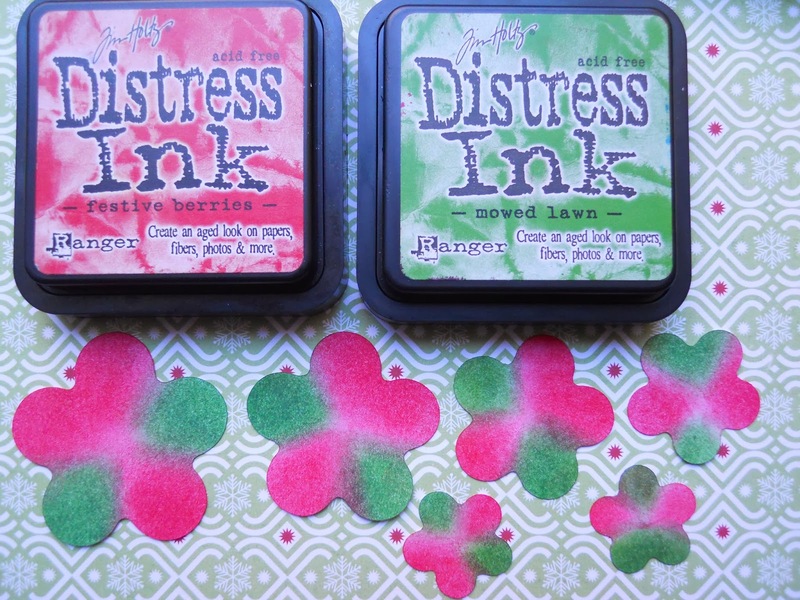 2.Use a blending tool to ink them with Distress Inks.On one of the smaller flowers ink both sides. 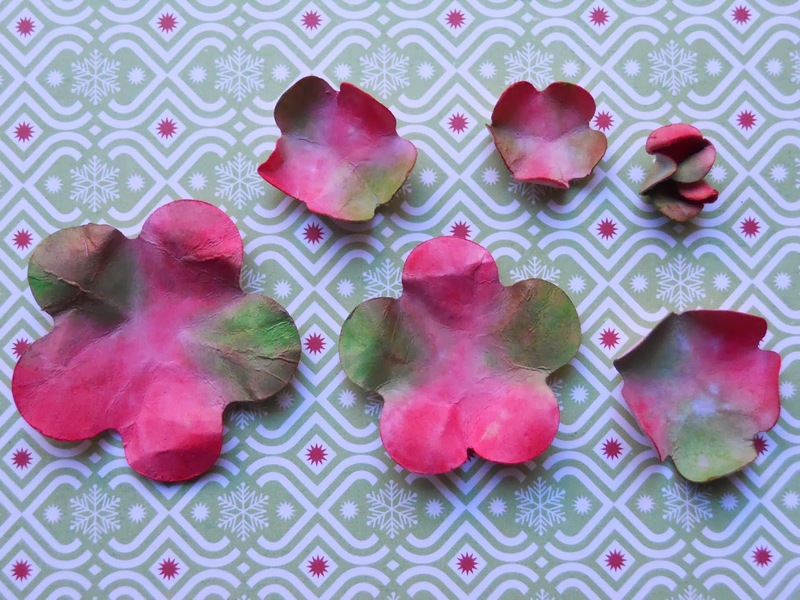 3.One at a time, quickly dip them into some water, scrunch them up, and then open and shape the petals. The small flower that you inked on both sides is your center bud, so keep it closed. After they dry they'll be a lot lighter, so now is the time to re ink if you want them darker. 4.Now layer and glue your flowers together, starting with the largest one on the bottom. The final touch is to spray with Glimmer Mist (Dazzling Diamonds), which gives it a little age and some shimmer. 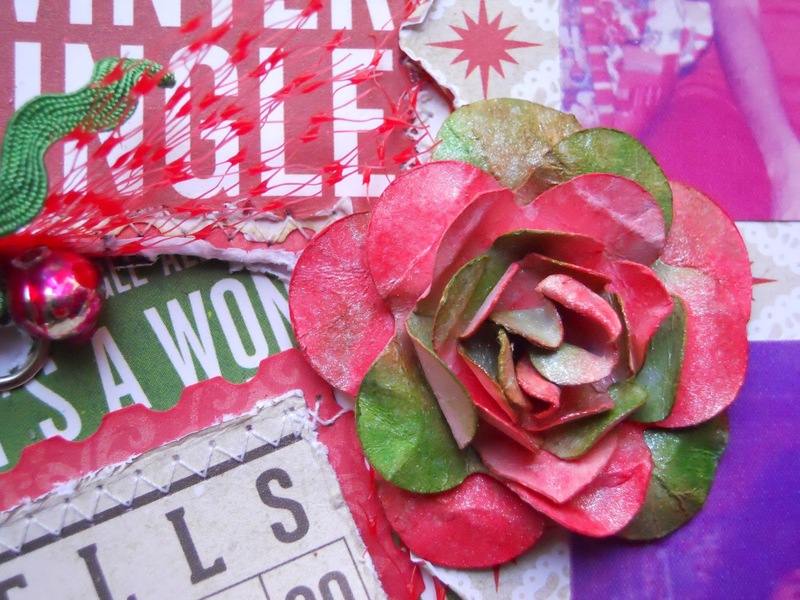 Try using different colored inks to make this flower go with whatever you're working on!